USGI 5.56 Bandolier Repack Kits Now Available! But why? The team at CleanAmmoCans.com is excited to announce the addition of new USGI 4-Pocket bandoliers to our product line-up. 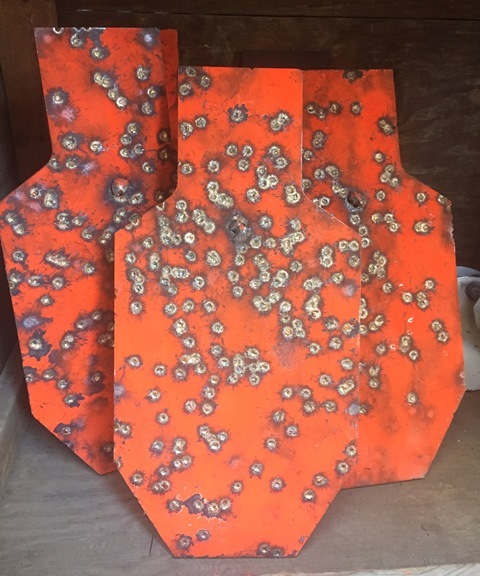 With the addition of the bandoliers and cardboard sleeves, we now offer all the components required to pack your own ammo to original military specification. Combine an ammo can, a pack of stripper clips and a bandolier kit for a complete DIY military re-pack. 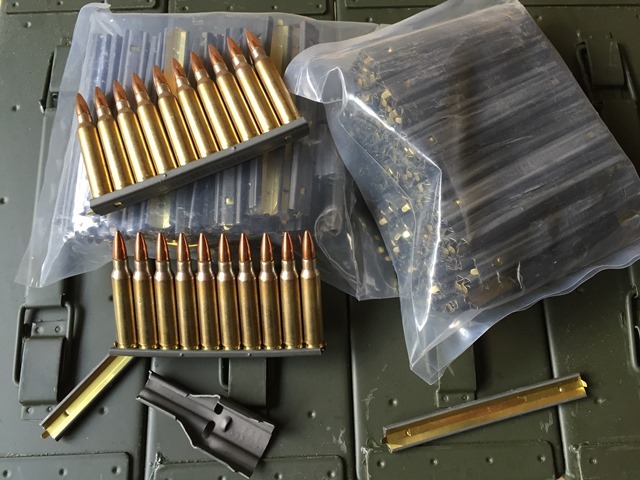 Each 5.56 4-Pocket bandolier will include the matching 5.56 cardboard silencer inserts. 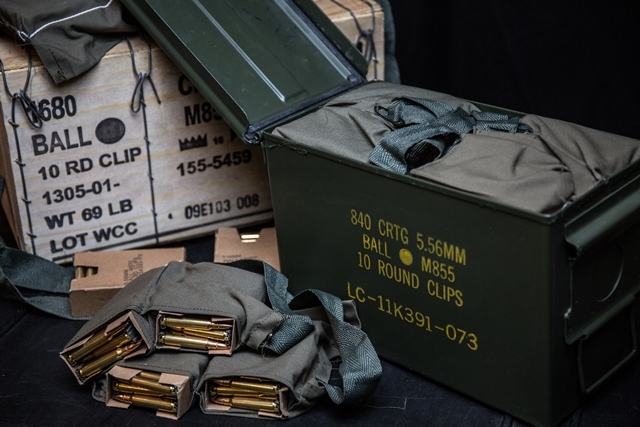 Read on to learn more about the advantages of packing ammo according to military specification!